Silent Disco - DJ KNIGHT - A popular choice for all kinds of events. Once confined to tents at the back of music festivals, the past few years have seen the craze of the Silent Disco really take off. Now it has become a popular choice for weddings, birthday parties and all kinds of events that require versatile entertainment. The appeal of the Silent Disco is not difficult to spot: dancers are plugged into headphones that play multiple channels, allowing for different genres of music to play simultaneously. So if you’re expecting your event to attract a mixed crowd with drastically different music tastes then a Silent Disco is probably the way forwards! DJ Knight has spotted the great benefits of the Silent Disco, and is now proud to offer this as one of his many services. Available for any kind of event or party, DJ Knight’s Silent Disco is all the fun of the real thing, without any of the noise complaints! If your venue has an issue with loud music, or even if you just want to give your Nan the option of sitting out quietly when the hip-hop starts blasting out, a silent disco can give everybody what they want. After over 15 years’ experience in the entertainment industry, DJ Knight has become a hugely popular DJ for all kinds of events. This is because he has outstanding musical knowledge, a genuinely engaging personality, and the passion to make sure every single event he works on reaches its maximum potential. If you choose to have a Silent Disco rather than a regular disco, it’s still guaranteed that DJ Knight will bring all these important qualities to your occasion. He will still win the crowd over with pitch perfect playlists and a warm, professional personality, and he can still act as the master of ceremonies and keep your event running smoothly if that’s what you require. A Silent Disco is the perfect opportunity to show that you’re clued up on the biggest trends in event entertainment, and it guarantees that your guests will find your party memorable as well as exciting. It also gives you the chance to slip your own headphones off and suddenly be faced with the amusing spectacle of your friends, family members or colleagues dancing along to nothing more than the sound of their own shuffling feet (and singing out of tune!). If that sounds like a laugh then a Silent Disco is definitely for you – get in touch with DJ Knight now to ensure that the best in the business is available to get your crowd moving. Interested in booking? Click the button below to fill out our booking form. We'd love to hear from you so please get in touch. DJ Knight quotes on a bespoke basis, as no events are ever the same. 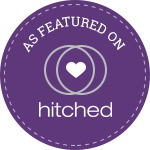 This ensures he can offer the best rates, based on date, location and details of your event. Copyright © 2018 DJ Knight. All Rights Reserved.